China will block India’s bid for Nuclear Suppliers Group (NSG) membership ahead of the NSG plenary meet to be held in Vienna, Austria. The NSG is an elite cartel of countries concerned with reducing nuclear proliferation by controlling the export and re-transfer of materials that may be used for development of nuclear weapons. It was set up in 1974, after India conducted its first successful nuclear tests known as Smiling Buddha, to stop so called misuse of nuclear material meant for peaceful purposes. At the moment, there are 48 members working in consensus in the NSG. India and the United Kingdom signed two MoUs to boost relations between the two nations during the official three day visit of Theresa May, the UK Prime Minister, to India. The MoUs that were signed deal with ease of doing business and cooperation in the field of intellectual property. Light Detection and Ranging (LIDAR) technology will be used to survey the archaeological evidence in the Rajgir hills in Bihar. This site is associated with Buddha and was the first capital of the Magadha empire. The Information and Broadcasting Ministry had put a hold on its order imposing a one-day ban on Hindi channel NDTV India after its live coverage of the Pathankot terror attack of 4th January 2016, thereby violating the Programme/Advertising Code. NASA’s Magnetospheric Multiscale (MMS) mission has set the Guiness World Record for highest altitude fix of a Global Positioning System (GPS) signal. This mission was launched in March 2015 to map the magnetic reconnection that occurs as the sun and Earth’s magnetic fields interact. Earlier, the MMS had achieved the feat of the closest flying separation of a multi-spacecraft formation with only 7.2 km between the four satellites. Nobel laureate and Bharat Ratna awardee Sir C.V. Raman’s 128th birth anniversary was observed on 7th November. He discovered the Raman Effect, a scientific phenomenon of scattering of light which makes the sea and clear sky look blue. World’s first hydrogen-powered and zero-emission passenger train named as Coradia iLint was unveiled in Germany. It will only emit excess steam and condensed water into the atmosphere. The Indian Army has successfully completed the task of laying an irrigation pipeline in the Demchok region of Eastern Ladakh despite a three-day face-off with the Chinese troops over the construction work. This project is being conducted under the Mahatma Gandhi National Rural Employment Guarantee Scheme to link the villages in the region with a hot spring. M Rajeshwar Rao was appointed as the Executive Director of the Reserve Bank of India. He succeeded G Mahalingam. The Health and Family Welfare Minister J P Nadda launched the Pradhan Mantri Surakshit Matritva Abhiyan (PMSMA) in New Delhi. It provides ante-natal services to pregnant women and also free treatment if required at government health centres and hospital on the 9th of every month. Vice President Hamid Ansari has released the book titled An Era of Darkness: The British Empire in India authored by Shashi Tharoor. It offers an insight into the ways the colonisers exploited India, the drain theory, the destruction of the industries indigenous to India and the negative transformation of the Indian agriculture. 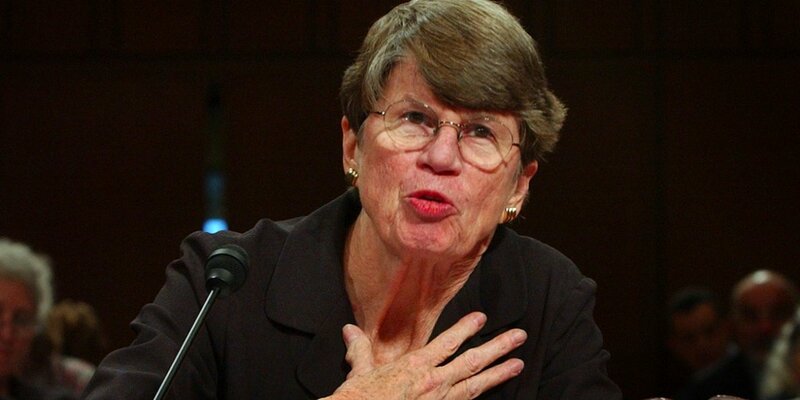 The first woman to serve as the Attorney General of the U.S. Janet Reno has passed away. She served in office from 1993 until 2001. Hadi Abdullah, a Syrian freelance journalist, was awarded with Reporters without Borders (RSF)-TV5 Monde prize. He had unhesitatingly ventured into Syria’s danger zones during the five-year-old war. The RSF also released the 2016 World Press Freedom Index in which it ranked India at the 133rd position out of the 180 countries it assessed. 1. When was the Nuclear Suppliers Group (NSG) founded? 2. What were India's first successful nuclear tests known as? 3. With which country did India sign two MoUs that dealt with ease of doing business and cooperation in the field of intellectual property? 4. Light Detection and Ranging (LIDAR) technology will be used to survey the archaeological evidence in the Rajgir hills in? 5. Which channel was to be banned for a day after it violated the Programme/Advertising Code applicable in India? 6. What is the scientific phenomenon of scattering of light which makes the sea and clear sky look blue? 7. Where was the world's first hydrogen-powered and zero-emission passenger train named as Coradia iLint unveiled? 8. Who has written the book An Era of Darkness: The British Empire in India? 9. Who was the first woman to serve as the Attorney General of the U.S.? 10. Who was awarded the Reporters without Borders (RSF)-TV5 Monde Prize?